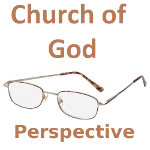 Church of God Perspective – Looking forward to the Kingdom of God! Have Christians As a Whole Left Behind the Teachings of Christ? There are some who claim that the different Church of God (COG) organizations preach a different gospel. So, what is the Gospel? Are there significant differences in the messages being preached?